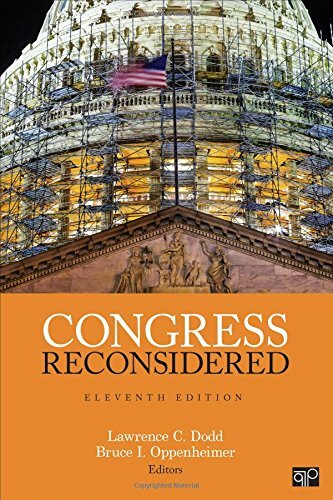 1506328784 -For almost four decades, the editors of Congress Reconsidered, Lawrence C. Dodd and Bruce I. Oppenheimer have delivered the best contemporary work from leading congressional scholars in a form that is both challenging and accessible. The tradition continues in this Eleventh Edition as contributing authors focus on the many ways Congress has changed over time and examine the conditions that foster these developments. Simply put, this bestselling volume remains on the cutting edge of scholarship, identifying patterns of change in Congress and placing those patterns in context.